competition problems such as refusal to deal, margin squeeze, non-price discrimination, and excessive pricing. There can be little doubt that this is the new reference point for researchers and practitioners in this domain. By systematically categorizing the concepts and legal criteria and building a solid theoretical framework on the intersection of competition law and sector-specific regulation, the author has created a resource that is sure to be welcomed by all those involved in regulation of electronic communications markets and network industries in general: academic scholars, telecommunications regulators at the EU and Member State levels, competition authorities, law firms specializing in IT/communications law, practitioners in IT and telecommunications companies, and consultants in the sector. The book will also prove very useful for scholars and practitioners in other parts of the world interested in comparing the EU system with their own. Chapter 1. Interaction between Competition and Regulation. 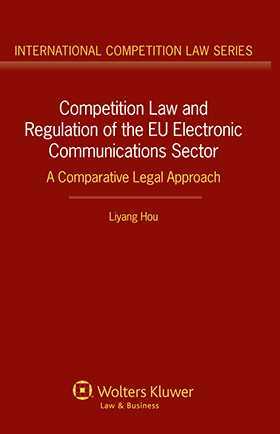 "Hou's monograph is a significant contribution to the legal literature on the interface between competition law and electronic communications regulation."